Re: What about pet first aid? 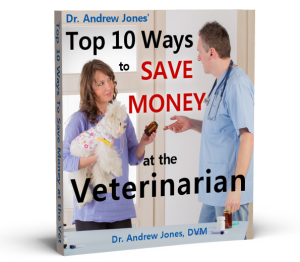 As we approach the launch of Veterinary Secrets Revealed- The Complete Multimedia Home Study Course- I am answering the Top qestions and comments from my readers. Answer: I have written a detailed description of specifically what should be in a pet first aid kit in my upcoming course. In fact you can purchase commercial ones at any pet supply store. A good first aid kit is a must to be prepared for emergencies. There should be a first aid kit in your car, at your job site, and in your home. The more complete your first aid kits are the better you can deal with emergencies as they come up. The best time to assemble those kits is now. If you wait until an emergency happens, you will be too late. If you have animals, then supplies for them should be included in both your car and your home first aid kits. The primary objectives of first aid are to relieve suffering, to save a life and to prevent further physical or psychological injuries until you can reach or be reached by qualified health care personnel. These goals will help you assemble your first aid kits. Consider all of the possible emergencies which can happen. First aid kits should be kept in containers that are labeled as such. Small containers which can be used for first aid kits can be found as cosmetic boxes, sewing boxes, tackle boxes, tool boxes, etc. If you purchase your supplies first, you will have a better idea what size box you will need to find to store them. Keep the box in a single location in your house, car and work place. Everyone should know where it is. If you are the injured party and unconscious or if you are not present at the time of injury, the best first aid kit in the world will not help when no one can find it. It should be stored out of the reach of very young children and pets. But nobody seems to tell you what the most common emergencies are. You must know what these can be, so you can be prepared for them. This is priorizing the injuries and body conditions in order of their severity. This allows you to work on what is MOST SERIOUS first. Only after dealing with what is most life threatening, do you then move onto a second injury. 10.?? ? ?Poisonings, Stings, Toxins and Snakebites. P.S. The Top emergencies are treated with CPR- You will be able to learn this invaluable skill with my course.